An assassination plot was one of the deciding factors behind President Maithripala Sirisena's reappointment of former prime minister Mahinda Rajapaksa, he said in a public address on October 28. On 16 October, The Hindu reported that Sirisena had indicated India's Research and Analysis Wing (R&AW) as being involved in the plot at the weekly Cabinet meeting. The government hastily issued denials and Sirisena telephoned Prime Minister Narendra Modi to assure him of continuing good relations. The Hindu insisted that it had cross-checked the story with multiple sources. The panic around the Cabinet meeting highlights the delicate balance Sri Lanka is playing thanks to its geostrategically convenient location. Recently, India was in talks to buy what has been widely dubbed the 'world’s emptiest airport' located in the Southern port of Hambantota — Rajapaksa's hometown. While Minister of State for Civil Aviation Jayant Sinha has denied that the deal is still on, Sri Lanka maintains that talks are progressing. China too has been making significant infrastructure investments as part of its Belt and Road Initiative. Its investment in the Hambantota Port — resulting in Colombo having to hand the port over to Beijing on a 99-year lease — is being widely cited as an example of exploitative debt. 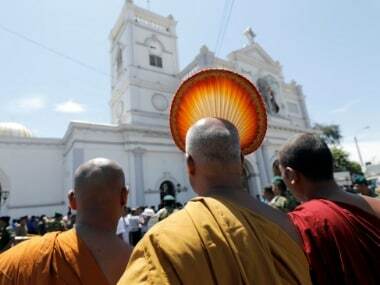 More recently, the US has also indicated some interest in the situation in Sri Lanka, indicating that it will be a key player in its nascent Indo-Pacific policy, which calls for free and open trade. Sri Lanka stands to gain by this interest by encouraging trade with all three parties. It was this balance that was at risk after the Cabinet meeting. The Chinese ambassador Cheng Xueyuan, on a visit to Sri Lanka when the swearing-in occurred, paid visits to both Rajapaksa and deposed prime minister Ranil Wickremesinghe. Xueyuan congratulated Rajapaksa on his appointment on behalf of President Xi Jinping, being one of the first leaders to do so. 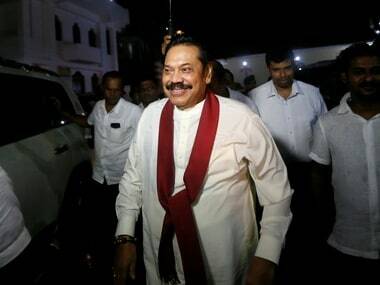 The move wasn't an idle gesture — Rajapaksa initiated many of the Chinese-funded projects underway in Sri Lanka today. India remained silent at first, before releasing a short but strongly-worded statement noting it was closely following political developments and asking that democratic values and the constitutional process be respected. The Bureau of South and Central Asian Affairs of the US called on all parties to act in accordance with the constitution and refrain from violence. The US also noted that it expected the government to abide by the terms of the UN. Sirisena did not mention this in his address, pointing instead to shortfalls in the investigation and policy and cultural differences with UNP leader Wickremesinghe. These differences have been an open secret since February 2018, when the Sri Lanka Podujana Peramuna won over 44 percent of the vote in the local government elections. The SLPP was a new party, a breakaway from Sirisena's Sri Lanka Freedom Party (SLFP). Rajapaksa was among its membership. Sirisena's party won just over eight percent of the votes. The elections were seen as a blow to the coalition government. In April 2018, a no-confidence motion was brought against the prime minister. In a surprise move, 16 MPs from Sirisena's SLFP voted in favour of the motion. However, the UNP MPs stood by their Leader, and the motion was defeated, leading the 16 to lose their portfolios and positions within the coalition government. All this no doubt contributed to Sirisena's decision to appoint Rajapaksa prime minister. This was a surprise move to many, particularly since Sirisena, a former member of Rajapaksa’s Cabinet, defected in December 2014 to be the common presidential candidate for the joint Opposition — a move Rajapaksa considered betrayal. The events had clearly been meticulously planned. News of the United People's Freedom Alliance (UPFA) leaving the coalition was followed by Sirisena swearing in Rajapaksa in swift succession. Gazette notifications removing Wickremesinghe as prime minister and appointing Rajapaksa in his stead followed. Yet, many lawyers denounced the move as unconstitutional, particularly as the 19th Amendment to the Constitution makes specific reference to the conditions in which a prime minister ceases to hold office. The UPFA, however, contends that the move was legal, pointing to a section that allows the president to remove a prime minister if, in his opinion, he has lost the public's confidence. The debate on legal terminology, however, has already been forgotten in favour of political considerations. With both Wickremesinghe and Rajapaksa contending that they held the majority in Parliament, the country had two prime ministers. Sirisena prorogued Parliament until 16 November, before a floor vote could be called. Not content with this move, however, Rajapaksa loyalists moved swiftly to take over State-run media. By 28 October, new chairmen were appointed to State-run print, broadcast and electronic media houses. State-run television station Rupavahini interrupted its broadcast on 26 October as violence broke out, while former media and information minister and Rajapaksa-supporter Keheliya Rambukwella watched on. Editor of the state-run Sunday Observer, Dharisha Bastians confirmed that she was asked to cede editorial control. 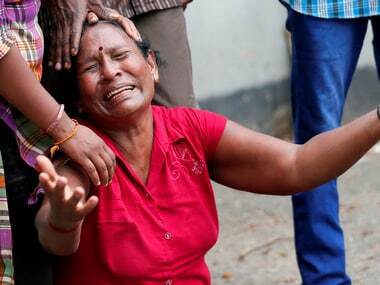 A shooting incident between MP Arjuna Ranatunga and a number of Ceylon Petroleum Corporation employees loyal to Sirisena turned tragically violent. Under duress, Ranatunga’s bodyguard killed one and injured two in the stand-off. The UPFA meanwhile makes no secret of its next move — both Rajapaksa and son Namal have indicated that they plan to call for snap elections once they have shown a majority in Parliament. The UNP continues to call for the Parliament to convene — Parliament Speaker Karu Jayasuriya wrote to the president reminding him that his move to prorogue Parliament was not done in consultation with him, and adding that his move to do so would lead to undesirable, serious consequences for the country. Jayasuriya also recognised Wickremesinghe as prime minister. Meanwhile, the IGP withdrew Wickremesinghe's security, leaving him with 10 members of Special Task Force personnel. Already there has been a flurry of crossovers, indicating frenzied negotiations behind closed doors. The decisive factor will prove to be how soon the Parliament will convene, and which party will be able to garner the greatest show of numbers. 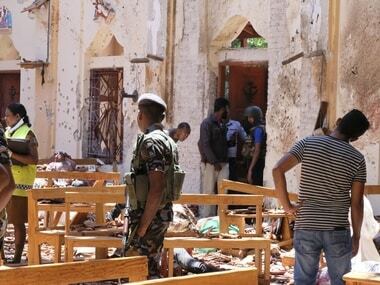 Until then, Sri Lanka continues to be in a state of unprecedented flux.